Lord Venkateswara Swamy is known by different names like Govinda, Srinivasa, Venkataramana and many more. But interestingly He became popular with the name 'Balaji' in the Northern and Western India. People from the states of Rajasthan, Gujarat, Maharashtra and other northern states call Lord Venkateswara as Balaji. There are 2-3 different versions / stories on this. The popular one is Hathiram Baba to whom Lord Venkateswara first appeared in the form of a small boy and this he called Lord Venkateswara as Balaji. Hathiram Baba was an ardent devotee of Lord Vishnu from his childhood. He had a strong desire to see Lord Vishnu. He came to know that Lord Vishnu has incarnated as Lord Venkateswara and is presided in Tirumala Hills. In view of seeing Lord Venkateswara in live form, the Baba came all the way from Rajasthan (North India) to Tirumala. Here again there are two different versions. When Hathiram Baba arrived at the temple gates of Tirumala, it was closing time and hence was not allowed to go inside the temple. The disappointed Baba wanted to commit suicide by jumping from the top of the hill. He was then stopped to do so by a small boy. When Hathiram Baba came to know that the small boy was none other than Lord Venkateswara, his joy knew no bounds. He thus called Lord Venkateswara as Balaji. The Hindi word 'bal' / 'balak' means small boy. Because the small boy was Lord Venkateswara Himself, the address 'Bala' is suffixed with 'ji' ('ji' is the Hindi word that marks respect). From then onwards, Lord Venkateswara is called Balaji by the North Indians. 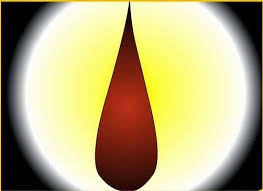 On reaching Tirumala hills, Hathiram Baba was determined to see the live form of Lord Venkateswara and hence sat under the shade of a tree in the hills and was deeply engrossed in meditation. Lord Venkateswara appeared in the form of a small boy and disturbed Hathiram from meditating. Little did he know that the small boy was Lord Venkateswara Himself and hence asked Him to go out. Later when Hathiram realized that the small boy was none other than Lord Venkateswara, he repented for his mistake and called Him 'Balaji' as Lord Venkateswara appeared in the form of a small boy. and only the red part of the namam remained on His forehead between the eyebrows. This is the typical 'tilakam' adorned by the women of staunch Vaishnavas. Seeing only the red tilakam on the forehead of the Lord, Ramanuja was mesmerized at the beauty of the black stone idol. He thought that it is Lord Venkateswara's desire to appear again in Mohini avatar (i.e Lord Vishnu incarnating in the form of a beautiful woman) to please and bless His devotees. From then onwards, Lord Venkateswara is also worshiped in Mohin Avataram with sari draped to the idol on specific days of the week and also during Brahmotsavam. 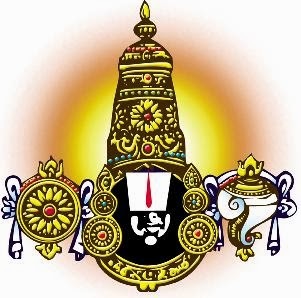 When people from the Northern / Western states started visiting the temple and seen this special dress-up of Lord Venkateswara, they started calling Him Balaji. The Sanskrit / Hindi word 'bala' means woman. Accordingly, Lord Venkateswara Swamy became popular as Balaji in the North.